Home » What's New » Our staff are certified! 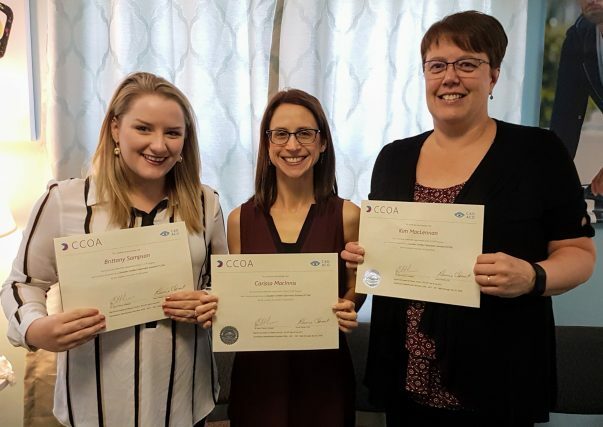 Congratulations to Kim, Carissa, and Brittany on becoming Canadian Certified Optometric Assistants! This course involved 36 weeks learning extra optometric skills and knowledge involving anatomy and physiology, patient management, customer service, frame and lens dispensing, and contact lenses. Great job ladies!